Bertil Vallien's glass sculpture "House of Mystery" with a head, mirror effects, and mythological expression. 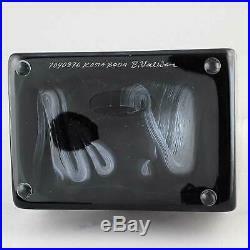 It is sand casted with transparent glass, giving it a unique touch. The sculpture was designed in 2008 as part of the "Black Elements" series. Brilliant work of art by the Swedish glass Nestor! 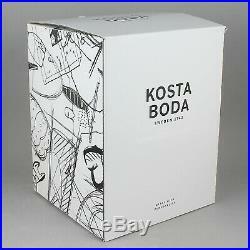 Wooden display stand from Kosta Boda and original box are included. I like to work with themes in my glass art. In the glass, there are opportunities that no other material can offer. You can do everything: traces, light, heat, and cold. 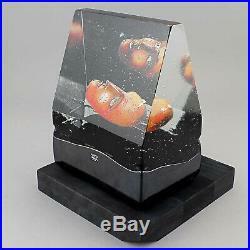 Your sculpture may differ slightly from the sample images. 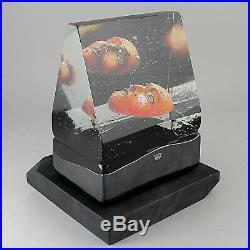 Rest assured, however, that you will get a high-quality object that we have inspected and personally selected for you. Kosta Boda glassworks in Sweden. New production with factory first quality. - -- -- -- -- -- -- -. 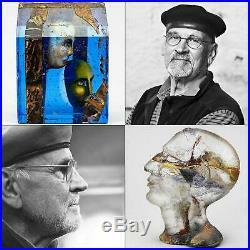 Bertil Vallien (1938) is one of the world's leading glass sculptors. His art is drawn upon the enormous treasure of myths and legends through the ages. Bertils sand-casted artwork is represented at eminent art museums, such as the Metropolitan Museum of Art in New York, and Victoria & Albert in London. Mother Sweden offers you top quality artwork from the Nordic countries. We specialize in modern pottery and glass from artists like Bertil Vallien, Lisa Larson, and Oiva Toikka. Kind regards from Stockholm / Anna and Nicklas. 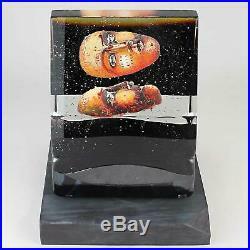 The item "Bertil Vallien (Black Elements 2008) Glass Sculpture House of Mystery" is in sale since Thursday, March 14, 2019. 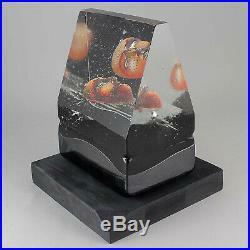 This item is in the category "Pottery & Glass\Glass\Art Glass\Scandinavian\Kosta Boda". The seller is "mothersweden" and is located in Stockholm.